Flu Shots - Coming Soon! 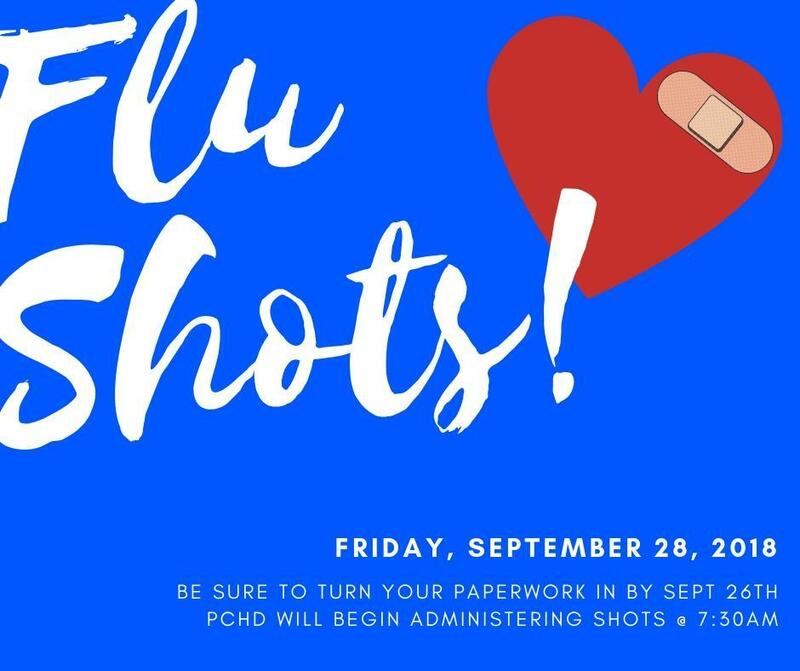 PCHD will be on campus on Friday, September 28, 2018 to administer flu shots in the morning. Please send your paperwork by Sept 26th to ensure your student is not missed on Friday.